The Philadelphia shaggy pop rockers Dr Dog are known for putting out lots of music and touring all the time; the group generally seem to love producing music in all forms. Back in November they decided to put out (as they describe it) a mood record titled Abandoned Mansion. It can be found on their bandcamp page and there was little to zero fanfare regarding its release (we are just finding it in early 2017 and RtBE are huge fans of the band). The disk is relaxed and meandering like a warm summer night as Scott McMicken sings on the easy acoustic album opener "Casual Freefall" there is "No Rush" they are exactly where they are as a band, and that is a warm familiar spot. 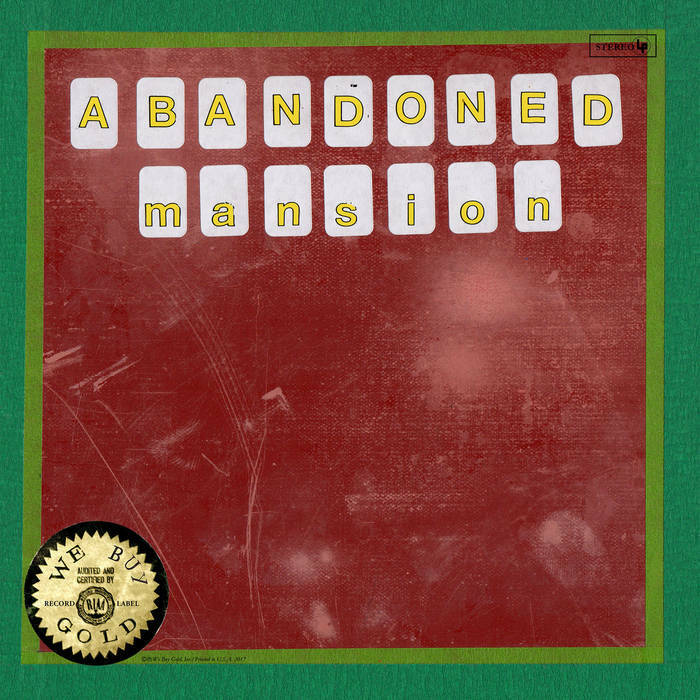 Abandoned Mansion has a demo feel in that it seems the band didn't fuss too much over tracks and some work brilliantly and others don't sync up as well. The breezy "Ladada" flows out effortlessly while "Peace of Mind"rambles gloriously with prime piano and fuzzy electric guitar fade out; if anything this song feels like it could have been expanded even more. "Survive" brings up the spiritual and almost holy in thankful escapism terms (a theme that pops up throughout) and "Both Sides of the Line" takes a simple phrase, repeats it, adds acoustic guitars and ends up a winner. Not so successful is the overwrought "I Saw Her for the First Time" which tries to pair orchestral string layers of cello and violin with some lovelorn lyrics that do not mesh well. A better use of bigger sounds and theatrics is the disk closing title track that swells with layers of organs, electric guitars and the groups patented pristine harmonies. The disk showcases the strengths of the now veteran band, "Could've Happened To Me" is a delightful acoustic soul, road song and "I Know" feels desperate and aloof at once, a neat trick that the band can pull off. "Jim Song" is an album highlight, structured and lyrically powerful, it ends up feeling like a Dylan or Tom Petty outtake with a crisp harmonica and mid song tempo change that puts a slight fifty twist on things; all around goodness. The band released the excellent B-Room in 2013 then a live album and a return to their odd ball roots with Psychedelic Swamp, and while this album can feel like a holding pattern of sorts it is certainly a pleasant one. The group just has that touch of being able to bring out the familiar bright feelings that great folky pop rock delivers on the regular, at least in Dr. Dog's paws.